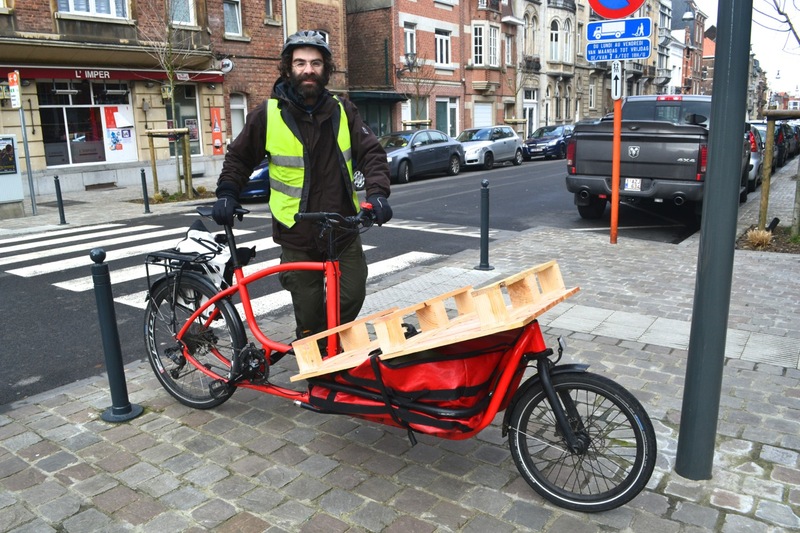 ©Barry Sandland/TIMB – The Douze cargo bike. European design with a front carrier section that can be removed/replaced with different sizes. And then, the second interest Foire aux Savoir Faire and the wooden palette. Photographer’s notes: There are more and more two-wheeled cargo bikes on the market today. Slimmer and faster than the older, three-wheeled bucket designs, they are better able to ride through traffic, get some speed… This Douze Cycles cargo bike comes with a front carrier section that can be removed and a larger/smaller section installed. This entry was posted in bike messenger, cargo bike, Europe, social engagement, transport and tagged 2015, asbl, Douze bikes, February. Bookmark the permalink.